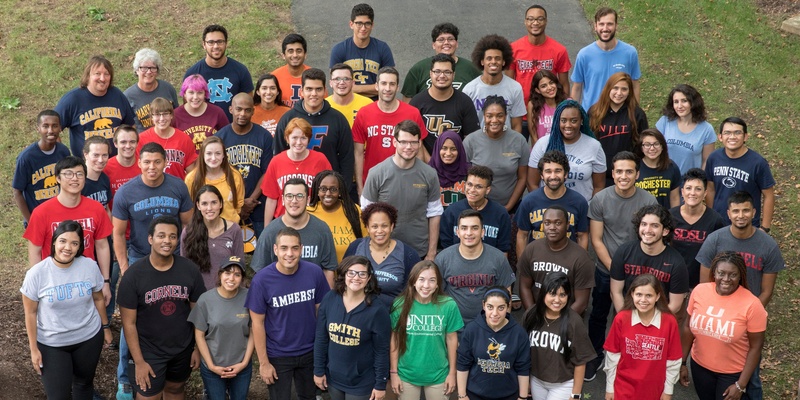 Lansdowne, VA —Today the Jack Kent Cooke Foundation announced the 47 recipients of its Undergraduate Transfer Scholarship, who will each receive up to $40,000 annually for a maximum of three years to complete their bachelor’s degree. In addition to themonetary award, these new Cooke Transfer Scholars will receive comprehensive educational advising from foundation staff to guide them through the processes of transitioning to a four-year school and preparing for their careers. The foundation will additionally provide opportunities for internships, study abroad, and graduate school funding, as well as connection to a thriving network of 2,300 fellow Cooke Scholars and alumni. This year, nearly 2,500 students applied for the Cooke Undergraduate Transfer Scholarship. The foundation evaluated each submission based on academic ability, persistence, leadership, and service to others.The recipients selected have a median adjusted gross income of $5,000 and an average GPA of 3.92. Biological sciences, engineering, and computer/informational sciences are the most popular fields of study among the cohort. A full list of the 2018 Cooke Transfer Scholars, including the community colleges and states they represent, can be found below. Interested in becoming a 2019 Cooke Transfer Scholar? Sign up to receive an email alert when the application opens in late August!